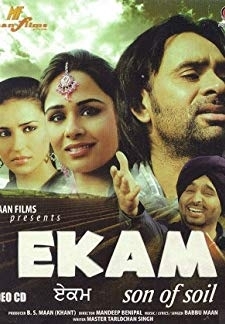 © 2018 Scratchu.com Ekam - Son of Soil | Babbu Mann, Mandy Takhar, Mohitinder Bawa, Bhagwant Mann, Amrik Gill, Garry Waraich, Anita Shabdeesh, Binnu Dhillon, Satwant Kaur, Tarsem Paul, Surinder Rihal - Ekam - Son of Soil (2010) | Punjabi Movie | 7.0/10 | Synopsis : Ekam - Son of Soil is a film about family relations and family disputes. Its a triangular love story with full of comedy and emotions. Its about villagers life and a journey of a hero ... ... Watch Online!! !